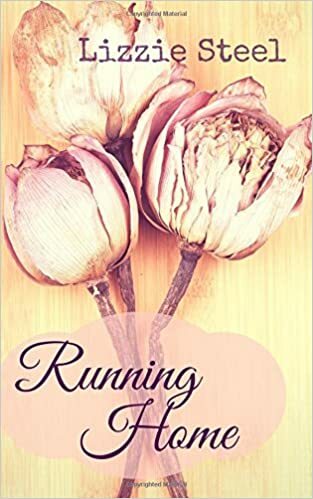 Running Home by Lizzie Steel is not only one of the best self-published books I have ever read, it is also one of the best fiction books I have read in recent years; it has the quality of a traditionally-published book, and hopefully one day we will see it on bookstore shelves. The book’s varied plot elements are seamlessly tied together to make one complete and nuanced whole, a rarity in self-published literature. Running Home is a historical romance set in British colonial India, and tells the tale of forbidden love between an English Lady, Clara, and an Indian plantation owner, Sachin. Steel expertly deals with serious subjects—to include physical and sexual abuse as well as racism and bigotry—while crafting a compelling, heart-warming love story between two good-hearted characters. I have tried above to point out some specific example of what makes Running Home worth reading, but the biggest endorsement, I think, is how I just could not stop reading! I was so absorbed in this book that I read it in one day – something that has not happened since I had my first child over four years ago. More compelling, even, is that I was so wrapped up in reading that I failed to notice my two and four year old children unpacking the ornaments and redecorating the Christmas tree… I have no idea how long I stood reading at the kitchen counter, but I can tell you: it was worth every minute of having to repack those Christmas decorations! Please read Lizzie Steel’s Running Home – you’ll be glad you did! Find Lizzie online and on twitter. ***Thank you to Lizzie Steel, who provided a free copy of the book in exchange for an honest review. First off, I love that cover. It sounds like a great read, I like seeing self-published books hit the mark like that. Thanks for the recommendation.